ArenaCast - Indie Music Podcast and Reviews: Pre-Release Review of The OurZ's LP "Dirty Tracks"
Pre-Release Review of The OurZ's LP "Dirty Tracks"
Read the pre-release review of the LP "Dirty Tracks" of The Band of the Month (August 2012) Poll winners - The OurZ, a "Dirty Rock N Roll" band from Dublin, Ireland. You can listen to some tracks from this upcoming LP on their R&R World profile. 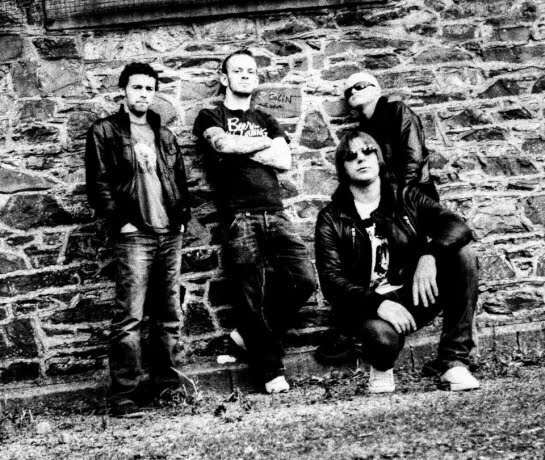 Originating from Balbriggan in North County Dublin, four piece unsigned rock act “OurZ” have released their striking album 'Dirty Tracks' which was recorded in Ashtown studios, Dublin, between Sept 2010 and July 2012. All of the tracks from the album were written & produced by “The OurZ” and in addition “Dirty Tracks” was engineered by Tommy O'Sullivan, and mastered by Fergal Davis, renowned for working with such legendary artist as Muse, Sinead O’Connor, and Ben Folds. Introductory track “Couldn’t Believe It” is a moody number glimpsing into past relationships, and reflecting on the choices made along the voyage to their present phase in life. Followed up by a pumping bass driven song, lyrically carved in a 3rd person aspect, which unfolds a story of deception and selfishness, recounting the feelings and contemplations of revenge unwillingly manifested. After setting the pace for the album with the opening tracks, the LP progresses with a darker view into deep mental state of mistrust and angst carefully veiled within the underlying storyline. Followed by a considerably lighter Rock-N-Roll route, the LP sounds a touching tale of separation and love with the track, “Summer Rain”, presenting the bands flexibility and diversity. Midstream the album continues with a familiar experience to the previous tracks, although the score is supplemented with smooth tones emanating from the Hammond organ stealing to the forefront challenging the crunchy guitar rhythms and dominant vocals for lead role. While vocally the track communicates the detached experiences of self-destruction, excess and the challenging truths of life and the brutal designation of blame. Defensively blasting out with a double-barrel entrance, the 8th track aptly titled “Attack”, initiates the final section of the album with a power-packed V8 blow, which motors out of the gates full throttle. Finally traversing through the concluding songs, they voice the release of the dark inner self and feelings of helplessness, and mark the influence this has on the decisions a person makes during their life’s journey. Bringing truly impressive work to the table dripping with raw honesty, “Dirty Tracks“ delivers a pure and classic Rock N Roll album, “Bringing Back the Biff” with their old-school, no nonsense attitude and unique brand of Dirty-Rock guaranteed to plant a smile on the dial of any true Rock-N-Roll outlaw. The OurZ`s songs "Last Chance" and "Summer Rain" was featured in E107 and E111 of the ArenaCast. You can also read a brief interview with The OurZ and The OurZ`s Life Rules posted in our blog. They are the dogs gohones!! Absolutely brilliant!! Keep it up lads. Many thanks for the review! !